We've used Steve and Leslie for several transactions and are so impressed with their hard work and diligence. Getting inspections done upfront saved us revisiting the negotiating table. Everything was upfront and transparent. Will definitely use them again! Marta M.
Steve and Leslie sold our home in Danville in 2014. They were fantastic and made sure every detail was covered. It made our downsizing so much easier for us. We highly recommend using them. Pat W.
We highly recommend Steve Martin as a buyer's and / or seller's agent. Because of his many years as a Realtor / Broker his knowledge base and resources are exceptional. He manages a small firm and provides world class service with attention to detail. He guided us step by step through a complex situation and was always available for us. We trusted him to work in our best interests and he exceeded our expectations! Erol G.
Steve and Leslie make a wonderful team. I cannot say enough about their professionalism, positive attitude, never giving up, tenacious, and mostly the best part, is their honesty. We had a difficult move from the west coast to the east coast. We sold in Alamo, and moved back home to New Jersey. Steve made sure all the inspections were done ahead of time so that there were no surprises. Steve was there for every inspection! He always made us feel like we were his only listing, which is a special quality in real estate! All my frantic calls were answered promptly. They are a special partnership, Leslie handling the staging and Steve doing the selling. I would recommend them highly with no hesitation. We had interviewed many realtors, and frankly, it was a no brainer. We got very lucky and made the right decision. Bobbi Z.
Steve assisted in buying my new home. Not only is Steve a skilled realtor in obtaining an excellent price, but also aggressively assisted the appraiser in generating an appraisal that was favorable to me. I would highly recommend Steve Martin in any real estate transaction. David N.
They have a great sales technique! Encouraging all inspections be done before listing our home, Steve scheduled and was present for all of them,. They even gave us a credit back on part of the cost of inspections after home sold. Though this was a lot of work on his part it made for a worry free sale of the home with multiple offers way above the listing price . We used Leslie's extensive knowledge about landscaping and interior design which paid off handsomely for us. I definitely suggest you contact them-(such a great team) before deciding on a realtor as they're simply the BEST!! We couldn't be happier. Jim L.
Mr. Martin has resources, contacts, & expertise that few brokers have. Because of this, he is able to have great success with even the most challenging real estate situations. He not only understands real estate far better than most, he also is a terrific negotiator for all involved parties. Mr. Martin also is able to think spontaneously outside of the box in order to deal with unexpected challenges. All of this gives him an extreme advantage in setting new standards of achievement for himself and his customers. Robert C.
I want to give Steve and Leslie my highest recommendation. Steve sold a longtime rental property in Walnut Creek for my mother, who lives outside the area. Steve drove over an hour out of his way to make sure all the paper work was taken care of and oversaw contractors who made upgrades to the property while I was outside the country. Steve's pricing strategy and Leslie's staging resulted in a bidding war on the property which yielded a sale price significantly higher than previously listed comps. Steve kept me updated every step of the way through the process and both he and Leslie demonstrated patience, dedication and professionalism. You can't go wrong with these two. 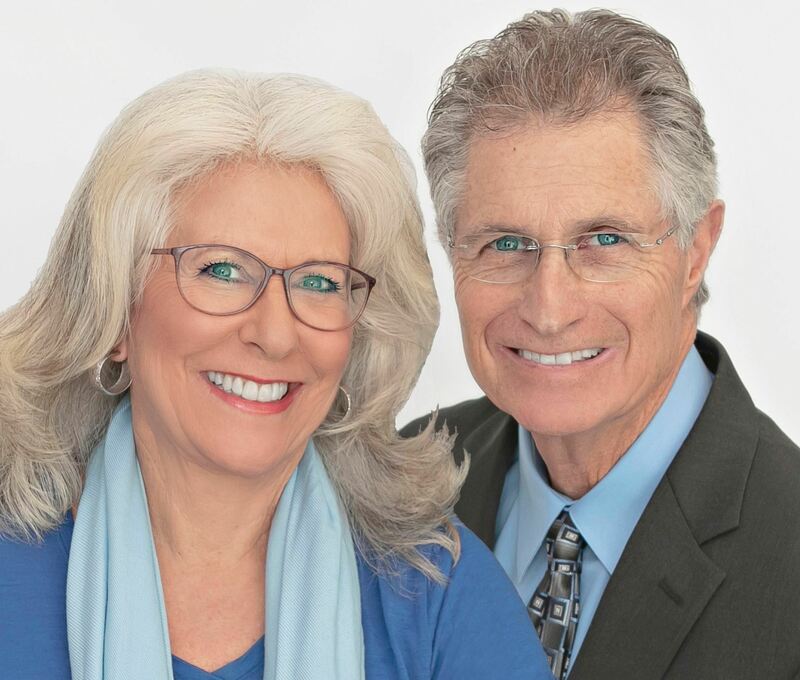 Fred S.
These two real estate professionals are highly experienced so we chose them to sell our home in Concord. They are both very personable and utilize their individual specific expertise to get your home sold. Steve spent a lot of time preparing a comprehensive market analysis including adjusting comps to suggest a proper list price. Leslie did a great job on the staging. We were happy with every aspect of the transaction and would certainly use them again. Gary N.
Steve is reliable, prompt and detail oriented. He anticipates possible issues and solves them quickly. Great communication and follow-through. A skilled negotiator and a real professional. Cathy S.
Steve was my agent through the purchase of an investment property in Concord. He brought forward a great deal very quickly and helped navigate through a very delicate negotiating process with the seller. At one point the negotiation almost fell through but Steve was able to find a successful resolution with the seller. He was extremely responsive at every step of the transaction. He was also able to refer me to a very good and well-priced contractor. It definitely pays to work with someone as experienced as Steve. Paul T.
Steve and Leslie helped us every step of the way towards a swift and happy sale of our Orinda home. They expertly advised us how to best prepare and price our home for the current marketplace, and connected us to a team of of proficient workers for repairs, carpeting, painting, landscaping, and cleaning. Leslie beautifully staged the house and garden, and Steve expertly negotiated and followed through on all details of the sale. They are first-class professionals who combine years of experience with expertise, efficiency, good cheer, and integrity. Their motto, "Top Dollar, Hassle Free," is accurate. I highly recommend their services! Andie T.
If I could give more stars on yelp, I would. Steve has worked with many of our friends and family members over the last 10 years, and as they experienced, working with Steve has been excellent. Steve is professional, extremely involved with the entire home-buying experience, and very, very knowledgable. He works hard to make the deal work for you and is highly invested in making sure you find the perfect home for you. The home we wanted- and that is absolutely PERFECT for our family- was primed to be a tricky deal. Steve pulled off the deal with absolute finesse. He was always reachable, had brilliant ideas, and really was the reason were able to get this beautiful home in Danville for an awesome price. As first time home buyers, this experience was smooth and Steve kept us informed and made sure we understood every step of the process. Steve and Leslie (who we've also worked with) are both so wonderful to work with, that a yelp review alone could not convey what a mistake it would be NOT to work with them. Noe-Marie M.
Steve is very knowledgeable and experienced. It was wonderful to work with him. Steve's attention to details and keeping us informed every step of the way not only impressed us but made us feel comforted. He has the magic touch to say the least! We had our first offer accepted due to Steve valuing everyone's part and focusing on our interpersonal skills. I can't say more because we truly believe this is his secret weapon which should be common sense in this high tech impersonal world. So if you want to get it done right, Steve's the man! Violet E.
Steve sold 2 properties in helping to dissolve our family estate. He worked through different family personalities with utmost professionalism. Because of his help we were able to sell the properties quickly and get top dollar on the sales. I would definitely use Steve again and would highly recommend him to anyone who wants to buy or sell property. Stephanie A. Real estate transactions put my anxiety level through the roof. HOWEVER, Steve Martin made me feel comfortable and confident throughout the entire process. When you work with Steve, you are always confident that he is representing your best interest. ...down to the smallest detail! Moreover, his consultative style always makes you feel in control. ...which was important to me. He is an extraordinary professional and personable guy. Steve S.
I first met Steve Martin in July 2011. My husband and I wanted to buy our first house and didn't really know how to start. We met him at an open house, and he was different from the other realtors we met. He was friendly and informative. We immediately knew we wanted him as our realtor. What amazed me was how honest he was. Every time we looked at a house, he gave his honest, expert opinion on every little detail. He has a very keen sense of observation. He saw things that my husband and I would've never noticed and explained how they might cause problems. And he never pressured us until we found "the one." And we did find our first house with him and he made the process easy and worry-free. He has smart ideas and knows how to give us the best deal. Five and a half years later (January 2017), we had Steve help sell our house because we wanted to move into a different area. He and Leslie staged our house beautifully. We received a great offer within 6 says of our listing. Once again, he walked us through the process with ease and honesty. Once our house sold, we went on the second part of the journey and found our new home in Danville. I highly recommend anyone looking for a home or wanting to sell their home to contact Steve. He has been in this business for years and knows the ins and outs. He is reliable, trustworthy and a great communicator. Why else would we have partnered with Steve three times? He's amazing and truly cares about his clients. Amanda C.
Steve Martin helped us with the sale of our Mother's condo in Rossmoor. My sisters and I all live out of state and thought we would have to make multiple trips back to handle everything. Steve went above and beyond to make sure we didn't have to do this from meeting all the inspectors, finding us reliable handymen and painters, to staging and selling her place one day on the market. Steve is an amazing Real Estate agent and such a pleasure to work with. Janna L.
We recently worked with Steve and Leslie for a home purchase in Alamo, CA and they were a pleasure to work with - honest, hard working, organized, patient yet persistent and fair. Over the last 5 years, we have bought and sold over $15 million in single family real estate across CA / CT / WA - homes for ourselves and investment properties. We have worked with several firms and agents to represent us - a couple great, a few good, and 1-2 bad. Steve and Leslie are definitely in the "great" category vs the others we have worked with. They went above and beyond just helping us purchase the home - which we did remotely as we were out of town for most of the buying process. They made themselves available to join all inspections no matter how short of notice, organized all files in binders for us and shipped them to our location so we could review, submitted a landscape proposal to our HOA, and worked with the title and banks to ensure that documents could be signed by myself in one location, and my husband in another but still meet all closing deadlines. No matter what question we had, they took the time to explain everything to us. And they were always available - which was something very important to us. Valerie M.
This team is good, really good. I've been through more than 30 real estate deals and none was as beautifully managed as this. Steve and Leslie advised us, arrange for repairs and improvements, obtained all inspections in advance, and staged the house beautifully. Very professional up to this point. Once on the market, that's when their game really picked up. I've watched lots of very good businessman in action. None have impressed me like Steve did during the final negotiations when the offers were coming in and counter offers were going out. This is when he kicks into high gear. Highly ethical, motivated by fairness, and interested in the best outcome for all parties, Steve truly optimized our position. Steve really knows his business inside and out. Every detail was executed flawlessly. I could not recommend a realtor more highly. Brent T.